Good evening! 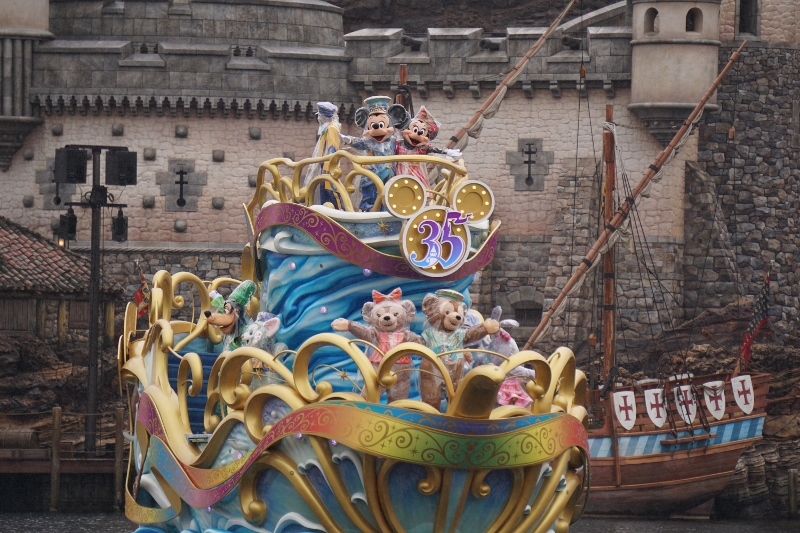 I went to Tokyo DisneySea today, to be precise it was yesterday as date was changed already, and enjoyed Happiest Celebration on the Sea. 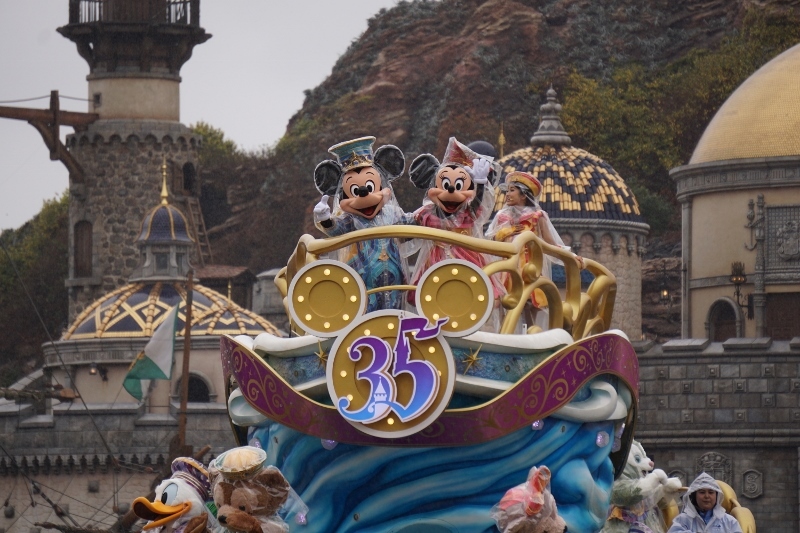 It is the show to celebrate 35 years anniversary. Its duration is about 10 min. Then I walked around the Park. 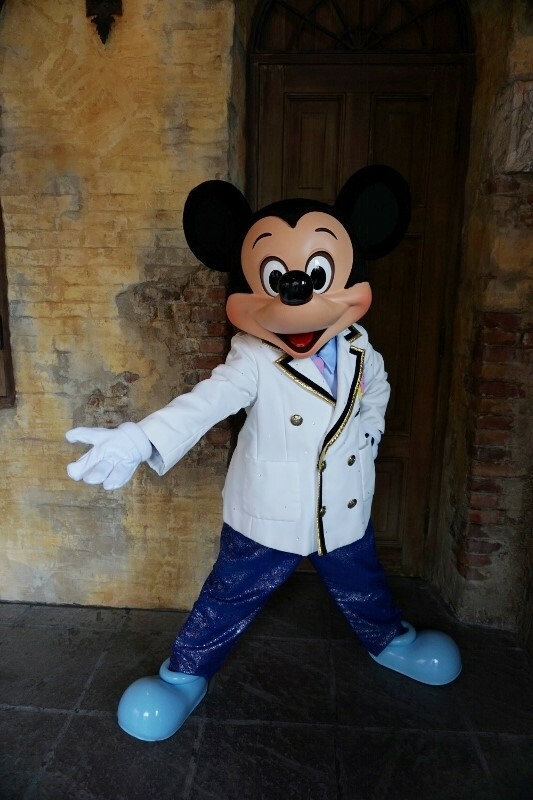 I got in line for the greeting with Mickey Mouse, met other characters, and enjoyed Big Band Beat, the stage show. 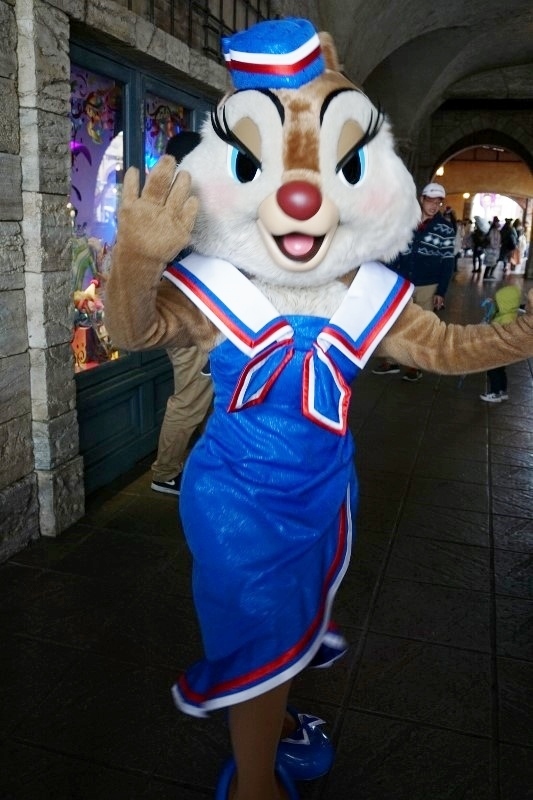 I had good time on rainy day. 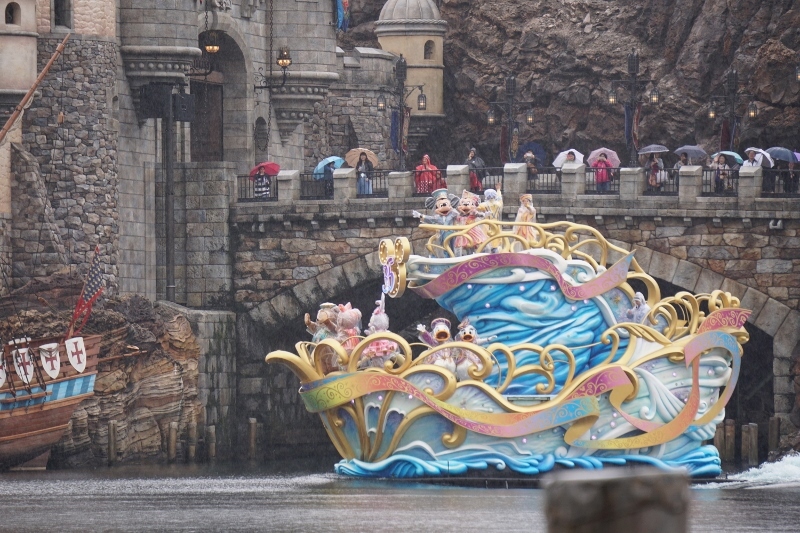 In the afternoon rain stopped. 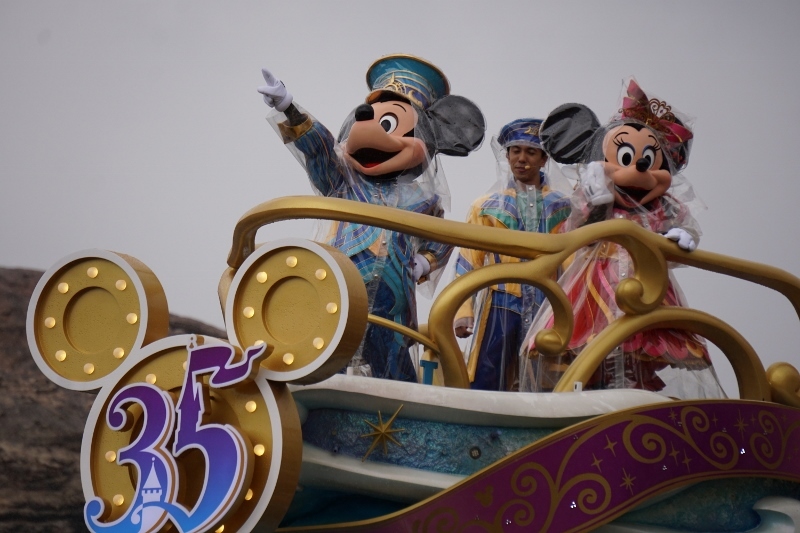 I moved to Tokyo Disneyland and watched Dreaming Up!, the new daytime parade started from April 15th. I will share pictures someday. I ate 35 years anniversary special combo menu at Zambini Brothers' Ristorante. 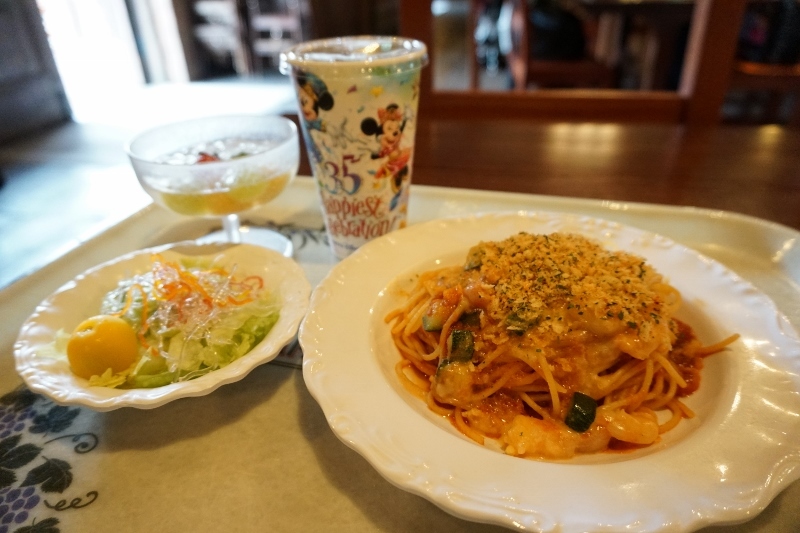 Spaghetti tomato cream sauce with shrimp and zucchini, Mini salad, Lemon jerry & fruits, and soft drink. 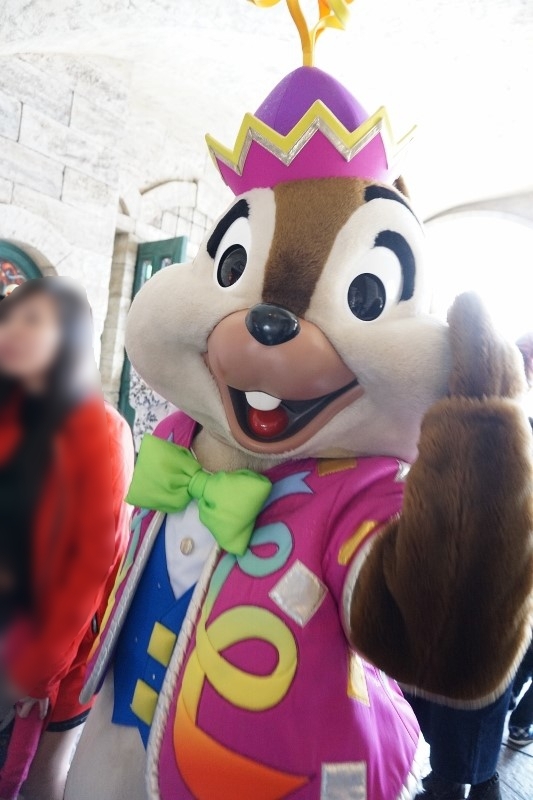 1580 JPY. I like this restaurant when I have pasta casually. イッツ・クリスマスタイム！@TDS / "It's Christmas Time!"